BURLINGTON - The Burlington Preservation Advisory Commission in partnership with the Burlington Chamber of Commerce invites you to the opening of a new history exhibit, Burlington Goes Back to School, on Saturday, March 2 from 10:00 to Noon at the Burlington Visitors’ Information Center/Chamber of Commerce, 520 E. Fairhaven Avenue, in downtown Burlington. In addition to the exhibit enjoy listening to entertaining stories by your former classmates and teachers of school days at Burlington’s and surrounding area schools such as Bay View, Edison, Allen and others. The exhibit will be on display during regular Chamber of Commerce hours through October 2019. The event is free and refreshments provided. 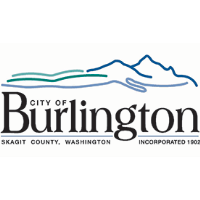 Burlington-Chamber.com, 360-757-0994 or jd@burlington-chamber.com or Margie Wilson, 360-757-6224, rootsproject@frontier.com.